This Just In: Sugar Is a Chemical! Medicinal chemists — organic chemists who study drugs — frequently develop an ability that is sometimes informally called "eyeball toxicology," or the ability to determine a rough idea of the toxicity of a substance just by seeing its chemical structure on paper. It is a form of intuition. The longer you do the job, the better you get at it. It would be reasonable to call this skill a "highly educated guess," which is acquired through years of studying the relationship between the structures of a variety of chemicals and their toxicity. It's not perfect, but we often get it right. It could just as easily called acquired toxicological judgement. Or, "that is one nasty looking molecule!" But, it failed miserably with the artificial sweetener Splenda (sucralose). To many medicinal chemists, sucralose looked like bad news, but turned out to be just the opposite. More on that later. Typically, predictive judgement of toxicity is based upon recognizing a fragment in a given molecule that is known to cause trouble when it is present in other chemicals. Let's call the fragment a "hot spot," (1) and it often raises a red flag. The most obvious red flag for toxicity is a molecule that appears to be chemically reactive. Reactive molecules often cause trouble because, as the name implies, they react with biomolecules in the body (proteins or DNA, for example) and can alter their structures. This alteration can change or even disable the function of proteins or DNA, and this is what is usually responsible for toxicity. Because of this property, there are not many reactive drugs on the market. The main exceptions to this are certain cancer drugs, many of which (especially the older ones) are intentionally made to be reactive, since they work by poisoning cancer cells (and also non-cancerous cells). Any trained organic chemist can identify hot spots that make molecules reactive. (This is taught in Organic 101.) This is why sucralose raised a few eyebrows when it was approved by the FDA in 1998. The sweetener doesn't have one potential hot spot. It has three. At that time, there was a collective "huh?" in some quarters of the organic chemistry world. A number of chemists (myself included) decided not to use it because we just didn't like the looks of its chemical structure. (Other artificial sweeteners, such as aspartame, which have no structural similarity to sucralose, have never concerned me.) But, it turned out that in this case, that our eyeballs were crossed. We got it wrong. Here's why. Even if you are among the millions of people that hate chemistry, know nothing about it, or both, it is pretty obvious that sucralose contains three alkyl halides in the same molecule (blue circles). This is what "scared" chemists. On paper, it looks like it could be a reactive molecule. So, how can it be that something that has three possible hot spots, but also a chemical structure that looks a bit like an insecticide or flame retardant be safe enough to eat? The answer is: Your body. 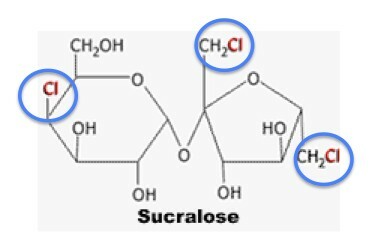 Sucralose is identical to sucrose (cane sugar), with one exception — the three chlorine atoms (blue circles). In sucrose, those chlorine atoms are oxygen. But, it is these chlorine atoms that turn sugar into something with no calories. This is because the two chemicals are handled very differently in your body. 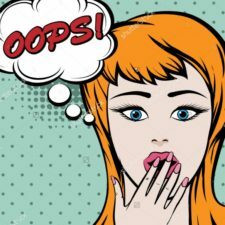 After you swallow sucrose, an intestinal enzyme called sucrase rapidly converts it to a 1:1 mixture of glucose and fructose. Both of these sugars have plenty of calories. But, sucrase doesn't recognize sucralose as sugar, so the enzyme does not react with it or break it down. As a result, almost all sucralose passes through your digestive system without being absorbed (3). This is why it has zero calories. Pretty clever stuff. Your taste buds also play a big part. For reasons I cannot explain, the three chlorine atoms make sucralose 600 times sweeter than sucrose. A can of Pepsi One contains 60 mg of sucralose (4). A can of regular Pepsi contains 41 grams (41,000 mg) of sugar. So, even if sucralose was caloric, you'd only need 600-times less of it to get the same sweetness. Since the stuff is synthetic, it's guaranteed that Joe Mercola and the rest of the anti-chemical Internet dopes are going to try to scare you, and they'll probably succeed. I didn't even bother to look. It was impossible to kill rodents that were given insanely high doses of sucralose. Mice and rats that were fed single doses of 16, and 10 grams per kilogram of body weight, respectively, did not die. This is roughly equivalent to one kilogram (2.2 pounds, or 1,000,000 mg) in humans. You would need to drink 17,000 cans of Pepsi One to get that much. When rats were fed a diet that consisted of 2.5 percent sucralose, scientists noticed that the rats experienced weight loss and decreased food consumption — both red flags, which are indicators of toxicity. But these effects were not due to toxicity. When the same dose was administered by gavage (a tube down the throat), this effect went away and the rats ate normally. Why? The rats ate less and lost weight because they didn't like the flavor of their food when it was spiked with such a high amount of something so sweet. So they ate less. And lost weight. When beagles were fed approximately the same dose (weight for weight) for 12 months, there were no adverse effects at all. From the American Cancer Society: "Current evidence does not show a link between [sucralose] and increased cancer risk." If this doesn't convince you that the stuff is safe, nothing will. But I still don't use it; not due to safety concerns, but because I think it tastes icky. I have no data to back this up. Despite modern methods that measure toxicity in a number of accurate ways, I still believe that eyeball toxicity has a place in drug discovery. It does help rule out compounds that will be obviously unsuitable as drug candidates (5). But, once in awhile the eyeball is nearsighted. (1) This does not work well the other way around. You'd have to be out of your mind to think that you could look at the structure of a given chemical compound and try to determine if it is not toxic. 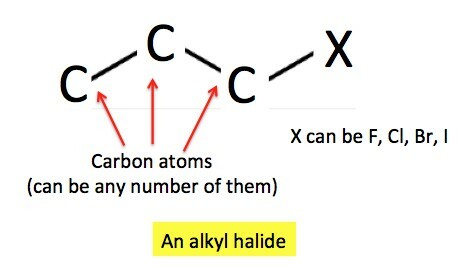 (2) All things equal, alkyl fluorides are barely reactive. Chlorides are moderately so, and both bromides and iodide are much more so. Halogens that are bonded to benzene rings (aryl halides) are not reactive. (3) A small amount of sucralose is absorbed through the gut into the blood, but it is rapidly excreted in urine. (4) Pepsi One also contains a second artificial sweetener called acesulfame potassium. (5) This is precisely why biologists should listen to chemists. When I was at Wyeth, some genius had the idea that an organotin compound (no, I'm not kidding) might make a good drug for modifying the LDL/HDL ratio in mouse models of lipid disorders. Upon seeing this, I suggested that he might as well paint the stuff on a bullet and fire it into the mouse. I got in trouble for having a bad attitude, but the mice got it worse. They were all dead within five minutes of being dosed. Duh.